Chennai's Arignar Anna Zoological park, simply known as Vandaloor zoo is a vast campus. Once inside, visitors can explore the zoo on foot, or buy tickets to get ferried around in motored vehicles. Or alternatively, they can rent a cycle. 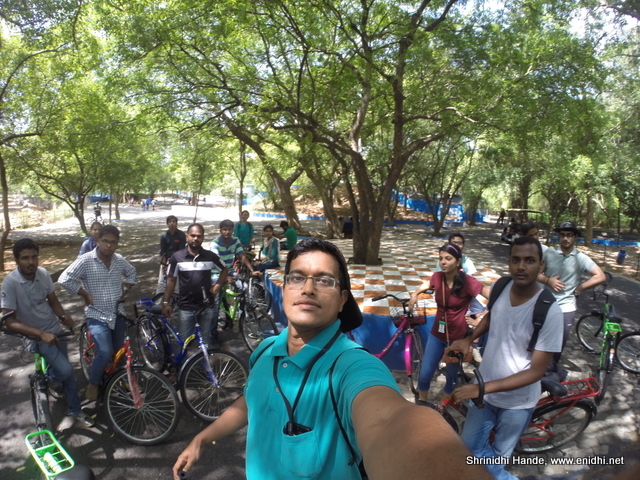 It takes approximately 3 hours to explore Vandaloor zoo on a cycle at leisure. 2 hours if you're very quick. So plan accordingly. Be very careful on the downward slopes. The brakes on these cycles are not fully reliable and you might fall down if you're not careful enough. 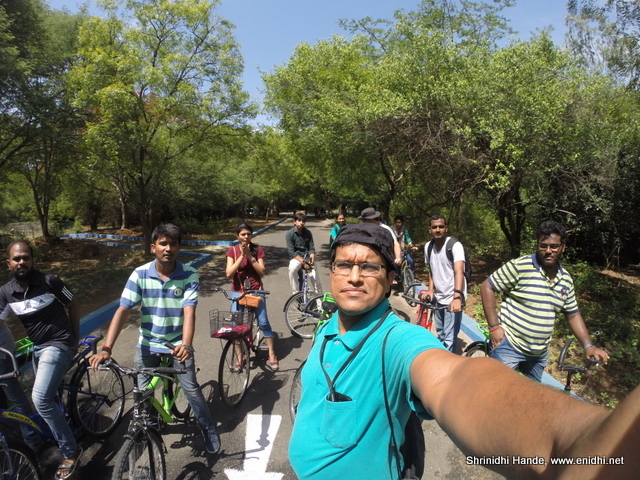 Had some good time today cycling around with colleagues. Also there will be car park charges of Rs 20 (Rs 10 for bikes), entree fee and camera fee (Even mobile phones with camera need to pay camera fee, even if you have no intention of clicking pictures). Battery operated vehicles cost much more, so where possible try out the cycles. Good way to get around in Zoo! Hi Surya. Can you share your contact number. I want to rent a tandem Cycle in Chennai for 1 week. Are personal cycles allowed inside the zoo, if charges are payed? As far as I know, not allowed. 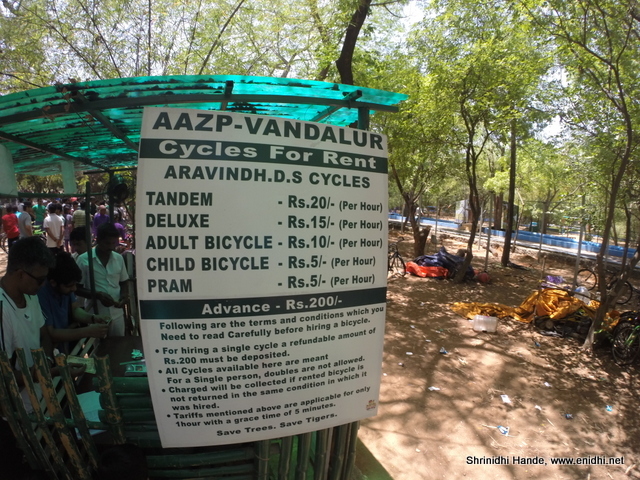 You've to only walk in and then rent a cycle. The cycle stands are inside the zoo..or out? Hi, I don't run the cycle shop there, so can't confirm.